I recently saw the movie MULLY and it got me thinking about how God is a God of the impossible and how we all stand to learn from an unshakable faith that moves mountains and ushers in the expansive love of God! For my husband and me, we know this kind of reality in our lives. 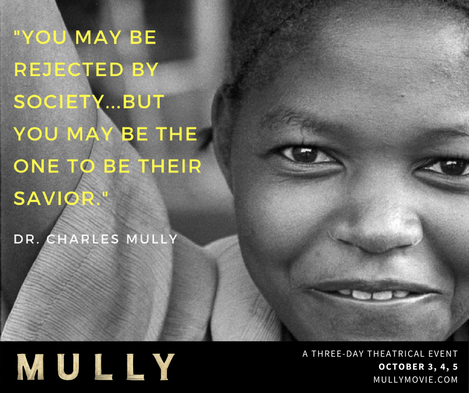 #Mully movie is about a man from Kenya who started out as an orphan, at total rock bottom poverty and then amassed great wealth. He never wanted to really look back at those poverty years until some street boys challenged him in the street. This haunted him and God worked on him. The result is radical, powerful and life changing for thousands. He saved countless orphans because God asked him to give everything away for a greater good. Ok, maybe God isn’t THAT radical with you and me, but this movie shows a man’s testimony of faith. Do you want this kind of faith? Do you have impossibilities in your life? Have you answered God’s call in a particular way that seemed like it couldn’t happen? Like Mully, our testimony can be a gateway for more of God’s power to flow. Faith comes by hearing and hearing the word of God. 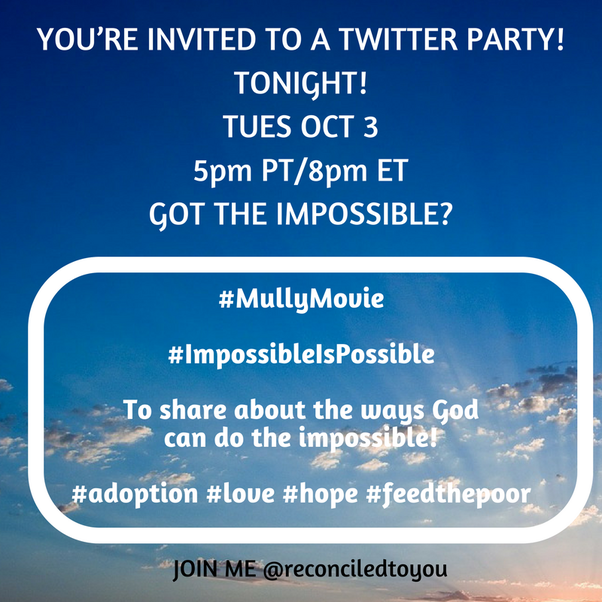 Join me for a Twitter party tonight on God making the impossible possible in the lives of his children. Together we can change the world! for three nights only (Oct. 3, 4, and 5) via Fathom Events. To share about the ways God can do the impossible!